I don’t particularly like New Year’s resolutions. It seems like setting yourself up for failure, because–if we’re really honest with ourselves–we set the standards so high that there’s no way we could reach the end of the year having accomplished everything we said we were going to. That usually becomes obvious fairly early on, and so we tend to just chuck the whole thing out the window and go back to what we’ve been doing. So I’m going to do something different this year. I’m not going to make any New Year’s resolutions. Instead, I’m going to make one (yes, just one) commitment…to be the best I can be this year. It doesn’t matter what part of my life I’m talking about. I’m going to be the best I can be. That lets me be honest with the areas I know I can improve in…and comfortable with the areas where I am already the best I can be, without falling into the trap of trying to meet societal standards that (1) I’m not interested in and (2) I’m not capable of meeting. There are some definite areas I know I can do better at. But I’ve discovered in the past that if I make a resolution to change them, that almost certainly ensures that I’m going to fight improving them. I don’t know for sure why, but it feels like that’s a response to outside pressure…that I’m being coerced to make those changes. If I listen to myself, I think I’ll do better, because it’s a change that comes internally…it’s me listening to my body…knowing my interests and abilities…knowing when I have the strength to do something and when I need to back off. 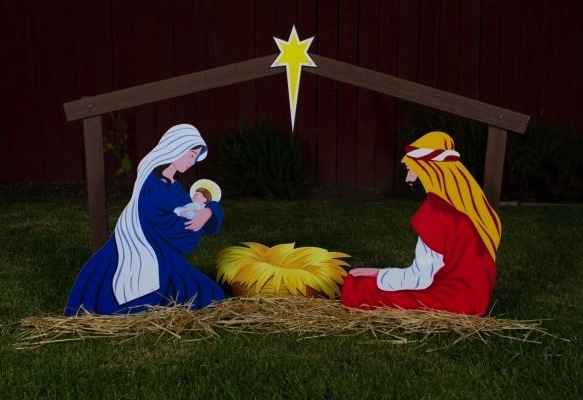 2000 years ago, the One we call Prince of Peace was born. He asked us to love each other…to bind wounds…to bring healing and reconciliation. Unfortunately, the world has not yet had the willingness to follow the path he created. 100 years ago, in the midst of a horrible war, some individuals on both sides found the strength and courage to bring peace and reconciliation, even if for just a short time. Our world today is full of violence, hatred, and division. All we have to do is turn on the TV or open our newspapers to see that. And at times the idea of peace and reconciliation seem incredibly hopeless. May you be blessed with peace this Christmas…and may we all work toward bringing about a world where peace is the norm, not the exception. If you’re of a certain generation, you remember being told not to use those “nasty 4-letter words.” They weren’t nice…weren’t used in public (and not really in private either). As I read many of my Facebook postings, I get a sense that there are many who see change as something negative…something to be feared and avoided. They want life to be as it was “in the good old days”. There’s been too much change too quickly. I do understand the concerns of some of my friends who think that theologically we may be changing simply for the sake of change. Unfortunately sometimes I think that has been (and still may be) true. But I belong to a faith tradition that believes in a constantly revealing God–and if God is constantly revealing Godself, then we are constantly learning something new about God and about God’s desire for us. If we respond to that call…which is what I believe we are called to do…then we must change. We’re in the season of Advent right now…and that celebrates a time of change. The people of Jesus’ day were looking for a Messiah…for someone who would bring changes to their world. The Messiah came–but many didn’t recognize him, because he didn’t fit their expectations. They didn’t expect a baby…a child born in a stable…someone who was acknowledged first by people who were outcasts (shepherds) and foreigners (Magi). They didn’t expect the grown Messiah to be friends with those who were unclean…who were not acceptable. They expected the Messiah to throw out the Romans…not to minister to those who were willing to accept his ministry. And they definitely weren’t expecting a Messiah who would submit to the worst of all deaths–to be tortured by the flogging and then to be put to death on a cross…a death reserved for traitors and slaves. But Jesus did change the world. Perhaps not completely…but we still talk about him…still worship him…still try to figure out what he was calling us to do–and it’s some 2000 years later. Our world still isn’t perfect. Maybe it never will be. But we won’t know unless we try. And to do that, we have to stop being afraid of that 6-letter word. I’ve been haunted by those words recently…some of the last words that Eric Garner spoke. As I’ve watched the protests growing out of Ferguson and New York…and watched some of the conversations…I’ve tried to figure out how to say what i feel. How can I say it in words that can be heard and not immediately set aside or assumed to be something else? Some of our language is so imprecise…or has been so co-opted for political purposes on all sides of the issue of race relationships…that it seems to be very difficult to have meaningful dialogue. I remember the first time I really became aware of what is often referred to as “white privilege.” A friend of mine–a woman of color–and I had boys who were the same ages. My son was making some unwise choices, and I commented about my concern that he might get pulled over by the police for some of those stupid choices. She quietly said that every time her boys left the house, she worried that they would get pulled over for “driving black” and she always prayed that they would return home alive. That shocked me. I had worried about my son perhaps being injured because of his unwise choices, but never because of his color. As I’ve read posts from some of my friends and listened to comments on the news, it seems to me that we are far too often talking past each other, rather than with each other. Yet if any good is to come out of these tragedies, we have to talk withi. We have to put our biases aside. We have to be willing to acknowledge that none of those involved in the situations were perfect. Stupid choices were made…choices that led to tragedies. Yet if all we can see is people who fit our stereotypes, we will never get anywhere. I cannot speak for mothers and grandmothers who are people of color. Many of their experiences are far different from mine. But I can listen to them. Yes, sometimes the rhetoric gets heated…but I wonder if I would be able to respond any more calmly if I were in the same situation. We have to see beyond the bad. Not all protesters are looters. Not all white people are racist. Not all black people are thugs. Not all cops are bad. We’re all humans, and we must come together and create change. We have to vote differently, we have to think differently, we have to get to work. This past Sunday we entered the season of Advent…a time of waiting and preparation. It’s a time to step back from all the craziness that is so often December and to think about what the season is really all about. But it’s more than just waiting. It’s preparation. We can get so focused on the “it came to pass”–on the event of 2000 years ago–that we ignore the ways in which Christ does return to our lives every day. The question is…do we see him? We won’t…unless we’re prepared to. Unless we’re ready to be challenged…to be made uncomfortable. Unless we’re willing to put aside our preconceived notions and biases of what Christ should look like…or act like…or smell like. I’m reminded of a scripture from Matthew 25 we used a couple of Sundays ago. This month is a good time to remember…and prepare. None of us can be all things to all people–but we can learn to be more aware of those around us who are in need…to open our eyes to see Christ in the here and now as well as in our nativity scenes.